The perfect pair of booties for a casual look. Laser cuts decorate the upper part of the booties for a fetching finish. Open toe. Side buckle provided for adjustable closure and secure fit. 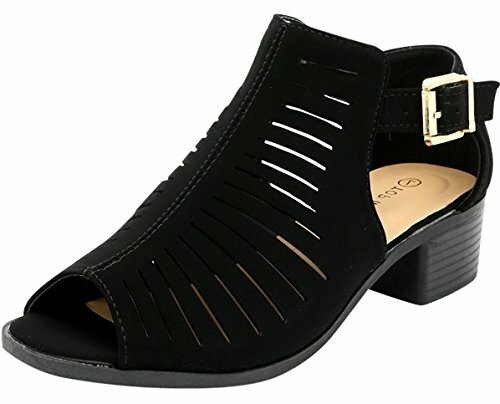 Short chunky heel for a little boost of style/li> No-Skid foot-bed. Synthetic Upper. The perfect pair of booties for a casual look. Laser cuts decorate the upper part of the booties for a fetching finish. Side buckle provided for adjustable closure and secure fit.